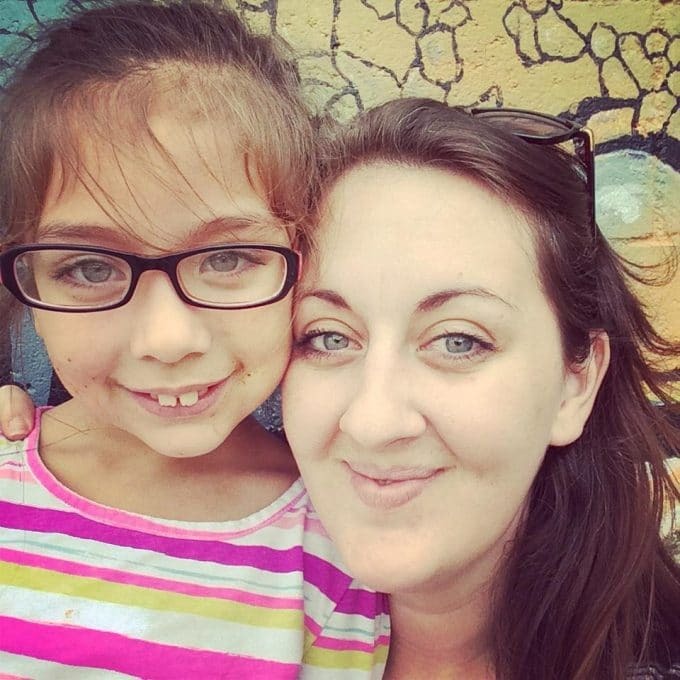 Have ya’ll heard about The Teal Pumpkin Project run by FARE? 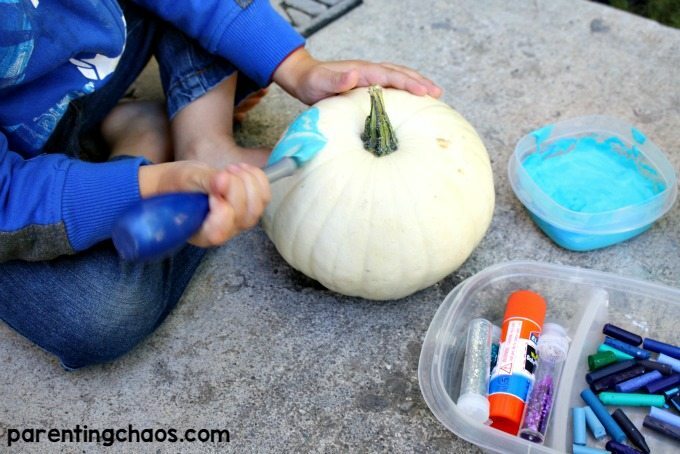 Launched last year as a national campaign the Teal Pumpkin Project™ raises awareness of food allergies and promotes inclusion of all trick-or-treaters throughout the Halloween season. 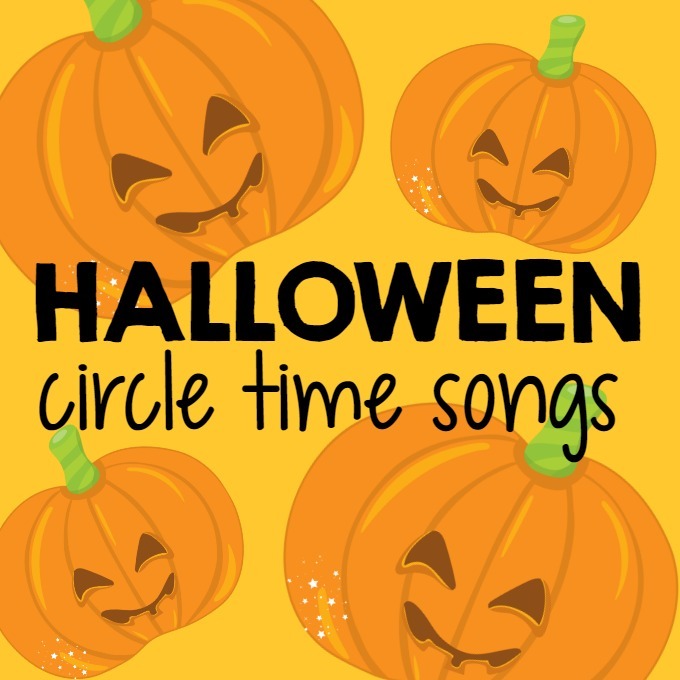 With over 15 million Americans living with food allergies this campaign is an amazing way to help kids with food allergies enjoy the Halloween season — because Trick-o-Treating is absolutely no fun if you don’t get treats you can enjoy! 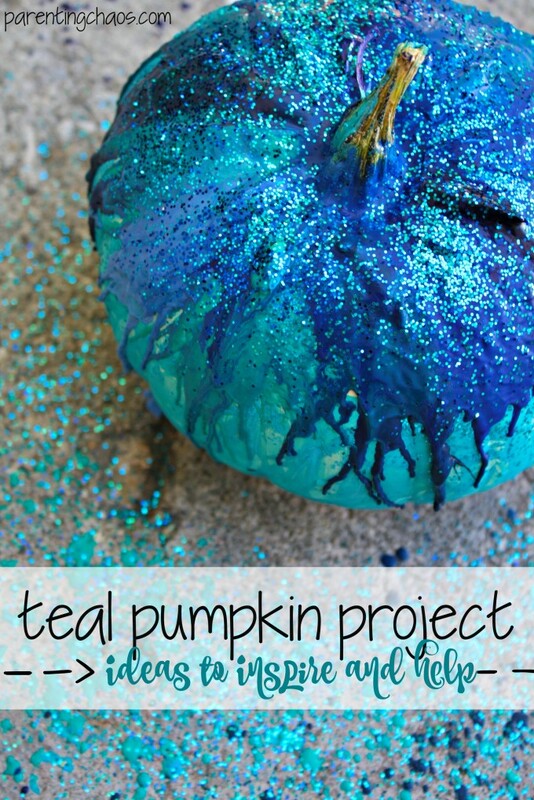 Since one of our kids is on a GFCF diet The Teal Pumpkin Project™ is one that we are very enthusiastic to stand behind. 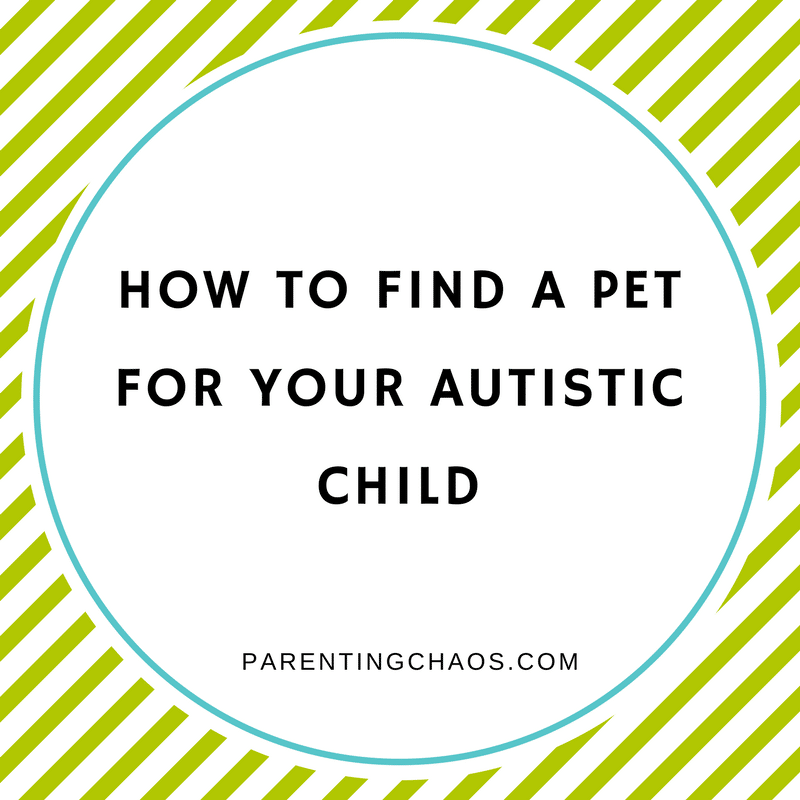 It is so incredibly easy to participate and the difference it can make is HUGE! Seriously guys it is simple. Take a moment and sign the pledge. You don’t need to do this to participate, but it is pretty damn neat to see how many people back this. Over 100k already! 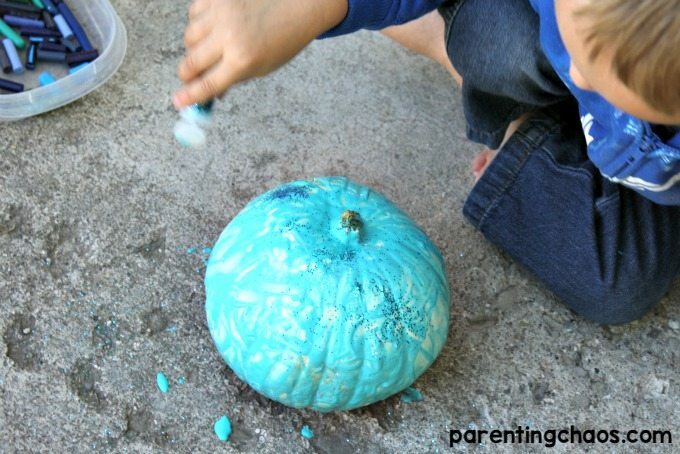 Buy a pumpkin and paint it teal. Find some inspiration below. Download and print off a sign for your yard or door to let people know what the teal pumpkin symbolizes. Some might already know, but since this cause is only in it’s second year this is an awesome way to help raise awareness and let allergy families know that they can ask for an alternative at your home! 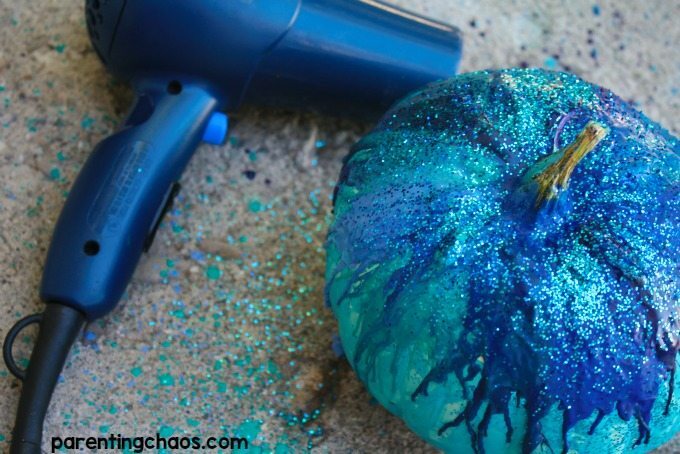 We have never played around with white pumpkins before, but when we saw some at our local grocer I knew that these would be perfect for creating our teal pumpkins. My kids were so excited because not only were they blue (Meatball’s favorite) they also turned out looking like Elsa pumpkins (Livia’s favorite). We had a blast with this! 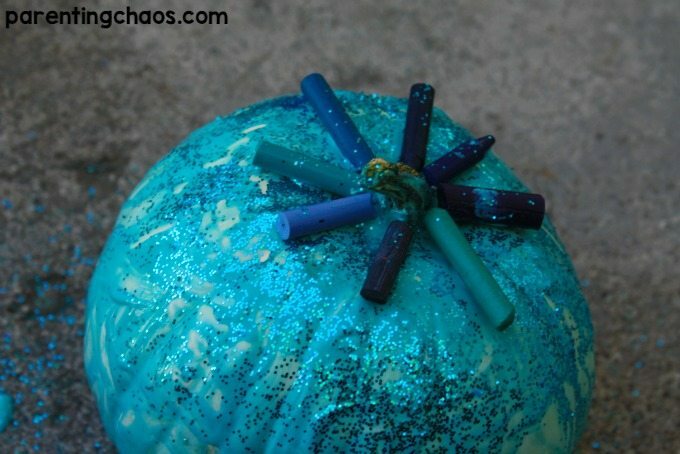 Paint your pumpkins teal. Easy and messy. Really messy. Make sure you paint on top of something you aren’t afraid to get ruined or use tempera paints. (Find teal tempera paints here). Dump on glitter. Lots of it. Let it sit aside for a bit to dry. Once dried glue on your broken crayons. The smaller pieces work the best because you honestly do not need much crayon wax to get an awesome effect. Let glue dry and go at it with a blow dryer on high heat. Let the kids have fun blowing the wax around whichever way as it melts. It is fascinating to watch! 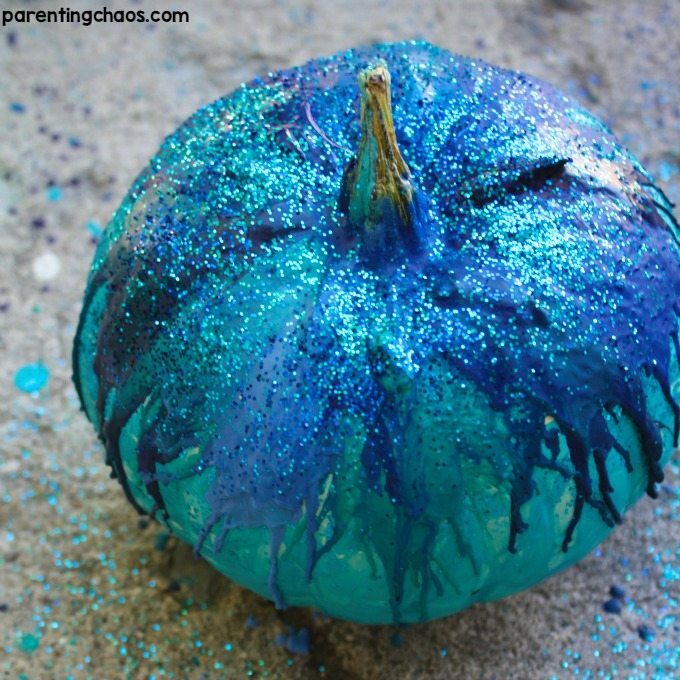 If you want a hollow pumpkin that can shine some light cut off the bottom and clean it out. 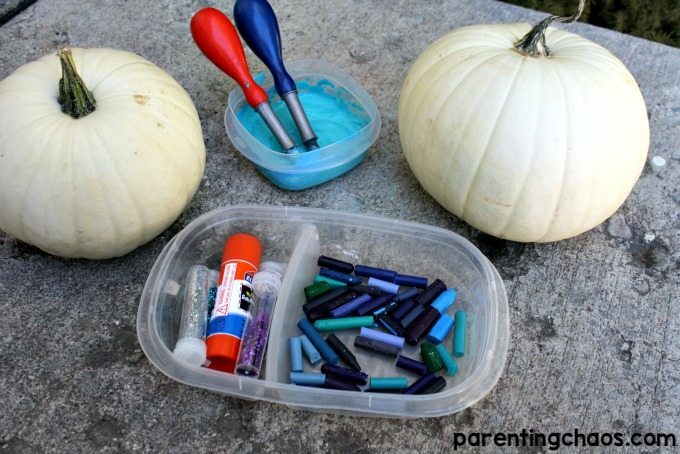 Then BEFORE you glue and melt your crayons poke holes into your pumpkins using nails and a hammer. If you do this after you have melted your crayons the wax will melt and you will have to repeat those steps. 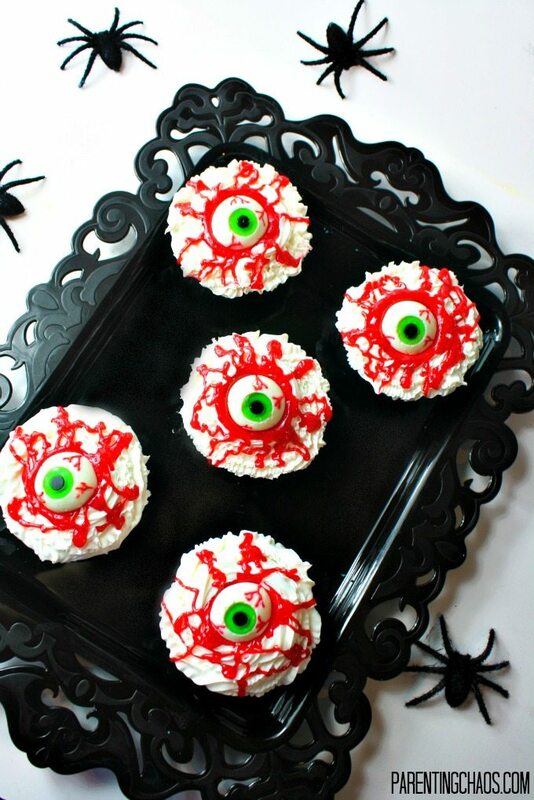 Swing on over to Dayna Bayna to discover how to make some fun spooky eyeballs that bounce! 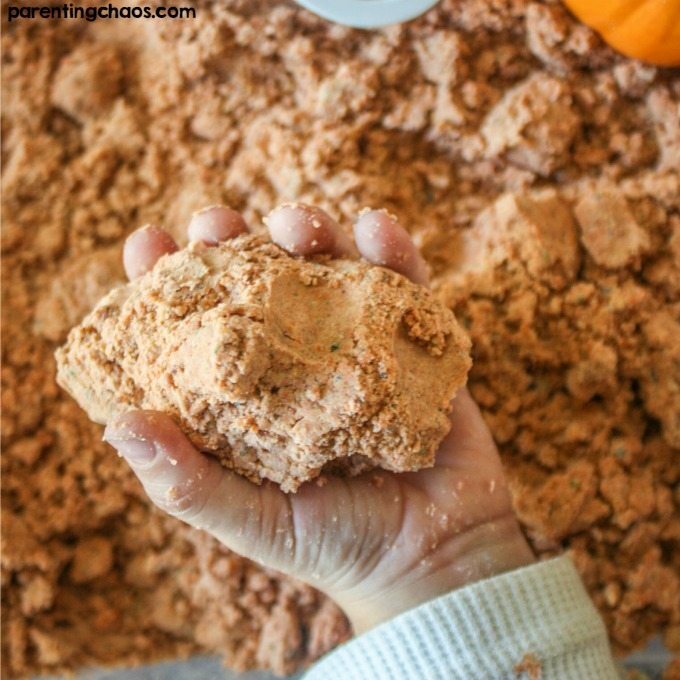 Kids will love to discover what color this play dough turns into! Fill small bags with Glow in the Dark sensory rice. 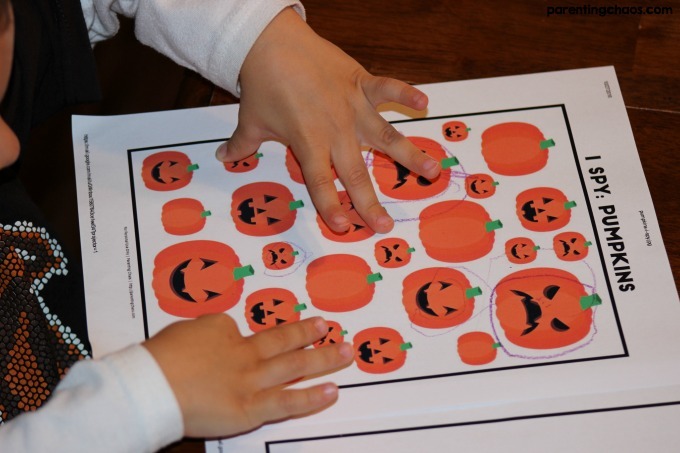 Make is super cool by adding in a big bucket of monster toys or glow in the dark zombies! Glow sticks are always a lot of fun! And while we are on the glowing theme, why not some glow in the dark chalk? You won’t believe how easy it is to make! Halloween tattoos are also fun, but if you go this route make sure to check that the adhesive used is allergy safe. When I was a kid glowing vampire teeth were always a blast. They are still just as fun as when you were a kid! 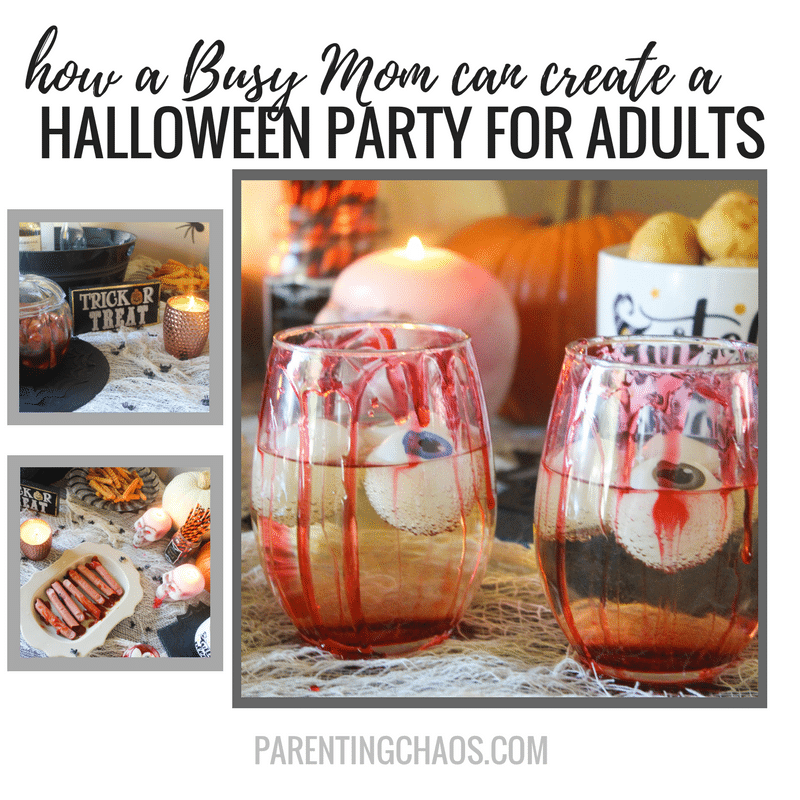 If you need more ideas for non-candy alternatives make sure to swing by Jenny Evolution or FARE for more ideas!